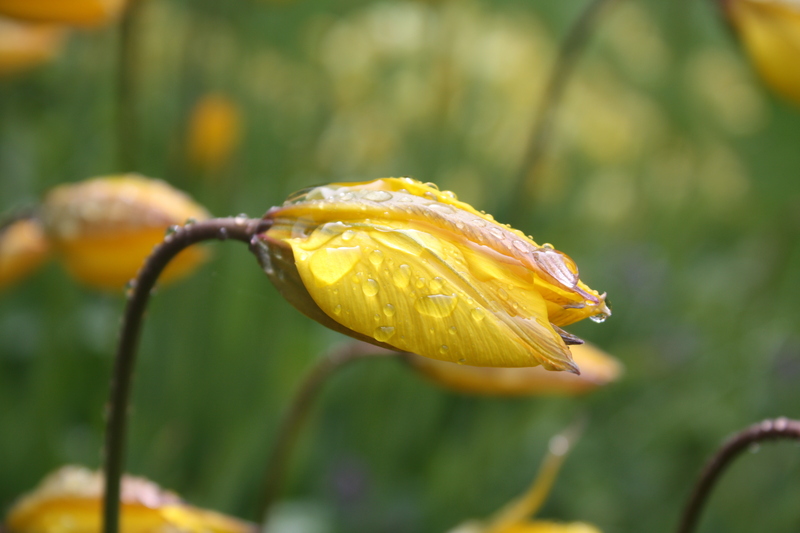 These yellow tulips display their beauty after a brief shower, a perfect opportunity to take beautiful pictures. I love tulips, it’s one of my favorite flowers! I really like how you’ve captured these as they nod their heads to the rain….very different than what we usually know to be ‘tulips’. Beautiful flowers! Great with the waterdrops.